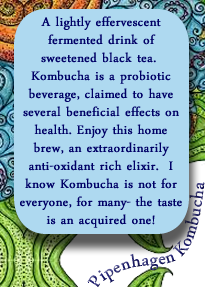 Kombucha, I have been making this fermented tea elixir as a home-brew and it has saved me so much money. 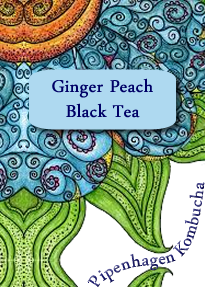 Kombucha in the natural foods section can get pricey. I really hate to admit to drinking soda (pop here in MN) with all of its refined sugars, caramel coloring and other icky nasty-ness. I’ve been a Diet Dew addict for several years and also a coffee lover. I’m not willing to totally give up my coffee just yet but I can totally replace the soda/pop with this healthy alternative.